e3 Building in Berlin, Germany. Seven stories in wood. The German wood awards have just been given to a variety of projects that include built objects – anything from highrises to garden sheds – and new products for wood construction. 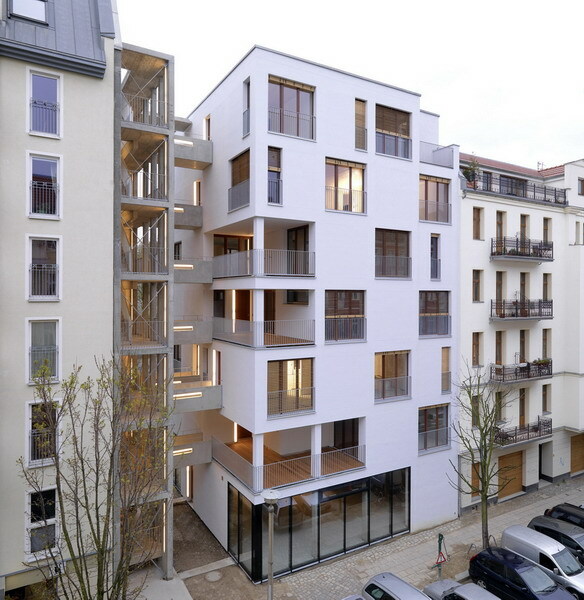 The first prize went to an amazing object: A seven story apartment building in Berlin whose structure consists of glulam columns and beams as well as solid wood walls. It is the e3 and more info is available on e3berlin.de. See also the image on the right. It is also great news to note that one of the honorable mentions went to a colleague of ours and one of his projects. 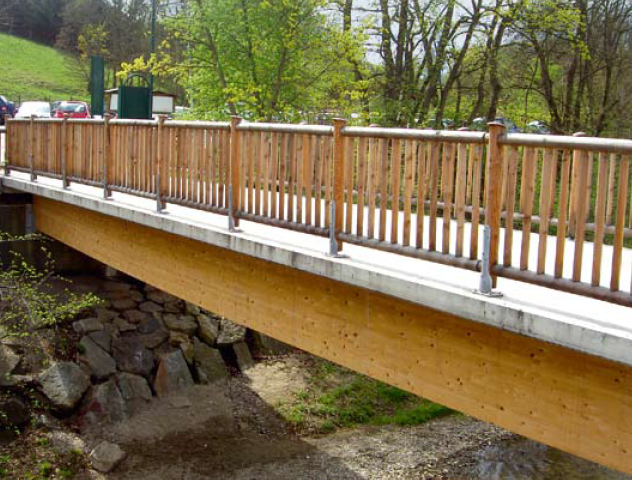 Prof. Leander Bathon and the Wood Technology Lab of the University of Applied Sciences in Wiesbaden received this prize for a bridge in Austria that uses a novel glued-in wood-concrete composite system. Some information on our own work on this system can be found here. Finally, if you know German then you can download the official publication.